Here at TermLife2Go, we often get calls from doctors, i.e. physicians, oncologists, internists, pediatricians, surgeons, etc., looking to purchase a wide variety of life insurance policies to protect their loved ones in the event that they pass away prematurely. That said however…What often goes “unaddressed” is what would happen if instead of “dying prematurely”, someone becomes disabled due to sickness or injury? And what if this injury or sickness is so serious that the “affected” individual is no longer able to work on a full-time basis? Will the inability to work full time as a doctor, whether that be as a physician, oncologist, pediatrician, dermatologist, dentist, orthopedist, etc., cause many of the same income replacement concerns that exist for your family if you were to pass away suddenly without having any life insurance in place? We think so…Which is why in addition to offering a wide variety of different life insurance policies offered by many of the best life insurance companies in the country, we also focus on providing our clients with a wide variety of short term disability insurance and long term disability insurance products so that they can insure that their family is protected regardless of what happens in the future. Now, when it comes to purchasing a disability insurance policy, we’re not likely to find the “best” disability insurance policy in 15 minutes or less. And you’re not likely to find the best disability insurance providers if you only look at what it’s going to cost you! You see…Disability has many forms. Ask a bunch of questions. And work with an agent who has many different options for you to choose from so that you don’t end up with a policy that won’t meet you’re needs. Because if you…do become sick or injured and you can’t work, and you find yourself having to transition from going from a high-paying salary to relying on federal disability and your savings, life is not going to work out too well. You see, savings can only last so long and the money you would get from the government is very, very minimal in comparison to your current salary. You will have to almost entirely give up your lifestyle. In order to maintain a lifestyle closer to the one you have now, you really need disability income insurance from a reputable company that offers all the bells and whistles to help you maintain your lifestyle. What if you become disabled soon after medical school (or you still have a ton of student loans)? If you are a young doctor, chances are you took out student loans to pay for medical school and you’re still in the process of paying them off. We don’t mean to be the ultimate pessimists, but what would happen if you had an accident today, tomorrow, or even a year from now? Without the ability to earn a steady income, how would you pay off hundreds of thousands of dollars of student loans? Would you need to declare bankruptcy (student loan debt is not forgivable, except in the case of death or disability)? Would you be able to meet the qualifications to claim social security disability? Or would you rather have a policy in place that would allow you to avoid facing all of these horrible alternatives? As a doctor you’re going to need to understand that because your profession is so specialized, you’re definitely going to want to look for a disability insurance policy that caters to your need. Do I have the education and training to perform this occupation? How much would I earn doing this occupation? It’s important to ask yourself these questions because these might be the questions you HAVE to ask yourself if you end up buying the WRONG disability life insurance policy for yourself. But don’t fret…Here at TermLife2Go, our goal is to help prevent you from buying the WRONG type of disability insurance and show you what you should be looking for when comparing different disability insurance policies that are out there. At TermLife2Go, we focus on helping you find the best disability insurance with the right disability benefit by providing you with information on a wide variety of different policy options and allowing you to decide what “features” of these different disability insurance policies are the most important to you. You see…There’s not just a “one-size-fits-all” kind of disability insurance that we can recommend to all doctors. 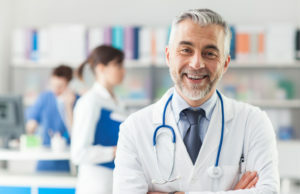 And while we may have some “idea” what most doctors are looking for, we understand that you are a unique, multi-faceted individual who needs a disability insurance policy that is right for you; not just a disability insurance policy that’s right for a general demographic of “doctors”. And that’s why…We work with the top disability insurance companies across the US. We know their policies inside and out – now all we need to do is get to know a little bit about you. So that when we apply your “situation” with many of the key features that can vary from one disability life insurance policy to the next we’ll have a better idea which insurance company is going to be the “right” one for you. Income Benefit – refers the amount you’ll get paid by the insurance company, depending on the type of disability insurance you choose. Now for obvious reasons, the larger the benefit amount that you select, the larger your premium will be. That said however, don’t get too hung up on this one feature, because while it is important, what’s even more important is all the terms and restrictions that will apply to actually being able to “qualify” to receive your income benefit. Elimination Period – refers to the amount of time that you must wait until your income benefits begin. In some cases, people may elect to purchase a policy with a short elimination period (ie. 30 days) while in other cases folks may elect to choose a policy with a longer elimination period. Now clearly receiving payments right away would be the best option, however people can choose to pay a smaller premium in exchange for having a longer elimination period. What option you choose can be determined once it has been determined what “rate” you may be looking at. Why would you choose a longer elimination period? Perhaps you know you have enough savings to last you a certain amount of time should you be unable to work. In that case, you could choose a longer elimination period. When you do, your monthly premiums are lower. Benefit Period – this is how long you want to receive your payments after becoming disabled. Remember, the longer you want to get paid, the higher your premiums will probably be. The average individual disability insurance claim lasts around 30 months. So, you should consider a 5 year benefit period, at the least. You can also extend it out to 10 years, to age 65 or to age 67, depending on the carrier and your occupation class. **Disability Insurance: not a lump sum payout. Many life insurance policies are a lump sum, one-time death benefit payout, unless otherwise structured. Disability insurance, however, is meant to be a supplemental income. Therefore, disability insurance is usually a monthly payout for a set number of years. The longer amount of time you wish to receive payments, the larger your monthly premium will be. What does it mean to be “disabled” and how does it impact your ability to continue your career as a doctor? As a doctor, it is important that your policy includes an own occupation definition of disability. To be disabled in the “own occupation” sense means that you will no longer be able to do the profession you were trained to do: be a doctor in your specialized field of practice. Any Occupation means that your disability will prohibit you from engaging in any gainful employment opportunities. Any Occupation is ‘broader’ but it isn’t necessarily ‘better’. We recommend most people in specialized occupations to get a disability policy that includes own occupation definition of disability. Why an own occupation policy for doctors? Because if you are only insured for “any occupation” you won’t get access to your policy if you can do a desk job that requires no higher education. Your salary could go from $250,000/year to $35,000 overnight – and with an “any occupation” policy there will be no compensation. So…as you can see, there are a lot of factors that will come into play in determining which disability insurance policy is going to be right for you. But the good news is that if you give us a call, you’re now prepared to begin asking all the right questions. Which is great…Because remember, we’re not here to “sell” you a disability insurance policy. If you’re reading this now, we already know that you want to buy a disability insurance policy. All were here to do is help you find the “best” disability insurance policy for you and facilitate the process of getting that policy put in place as efficiently as possible!